The Junction hosts your favorite local performers five nights a week. Check our Live Music Calendar to see who's playing tonight. 3rd Left: Three friends from Plymouth, MA. Best known for their awesome Brown's Bank Bash and of course their unique combination of funk, jazz, reggae, folk and rock, delivered in an exciting, rhythmic & melodic style. 93 North: Not your parents' cover band. 93 North is a high-energy three piece band from Cape Cod. Playing only the finest indie/alt/classic/blues/dance/reggae/rock tunes. They play their music with the same swagger, drive, and attack that made rock music popular. Daniel Byrnes Band: The Daniel Byrnes Band has evolved since it was first formed as a trio in 2007. Now a genre bending four piece, they've created a sound that is all their own while always staying close to their roots. 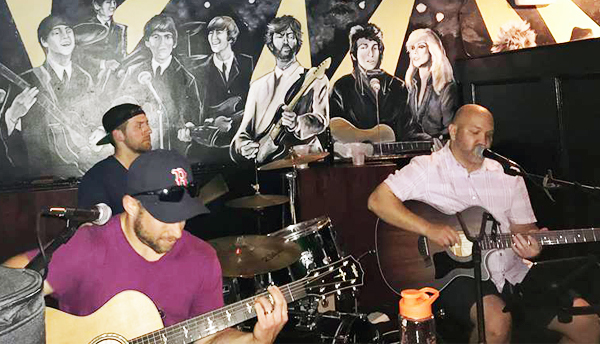 Dave Foley Band: The members of the Dave Foley Band are veterans of the Boston music scene. Their talent is apparent as they add their twist to classic hits. Ian Richardson: Singer and acoustic guitar player, Ian Richardson, is a legend at the Junction. Don't miss his next show! 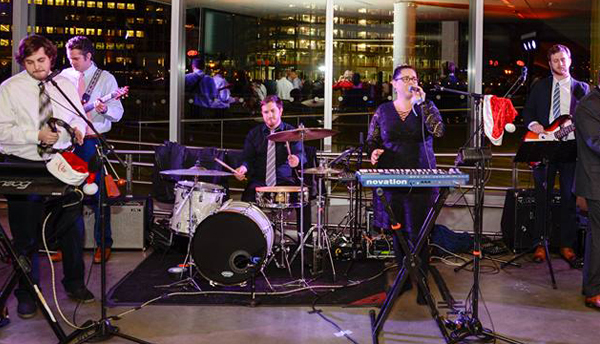 Jackson Wetherbee Band: Jackson Wetherbee is backed by a talented 6-piece band. They play an exciting mix of your favorite covers and original songs, inspired by Jack Johnson and Jason Mraz. Jeff Rosen: Jeff is first and foremost a performer. He loves connecting with his audience in music and laughter, and has had the opportunity to do so all over the eastern United States. Averaging around 300 shows a year, Jeff will charm you with his acoustic sets. Jimmy & Marcelle: Jimmy & Marcelle are a stylish vocal and guitar acoustic duo based out of Southern New Hampshire. They perform pure acoustic versions of some of your favorite songs, from 60’s classics to current hits. Justin Beech: Justin is a singer/songwriter who comes armed with his acoustic guitar, ready to entertain. Legends of Summer: From Jay Z and Beyonce to Michael Jackson and Stevie Wonder, Legends of Summer cover decades of party music in every performance, featuring keys, drums, guitar, bass, sax, and male and female vocalists. Life Got Busy: Just a bunch of guys that like to play music! Life gets busy, but music is their passion. Munk Duane Band: Mark Duane is a Berklee College alum who's music has been featured on the Soprano's, NCIS and many more TV shows and movies. His music has been called both "gutsy" and "powerful". MB Padfield: MB Padfield is a rock and pop artist from Manchester, NH. She plays weekly in the Boston area and beyond. She draws inspiration for her original songs from Aerosmith, Michael Jackson, Ed Sheeran, Elton John and Lana Del Rey. Ryan & Mia: Ryan McHugh and Mia Boostrom join forces to perform at the Junction. Be sure to check them out soon! Soul Jacker (Duo): Soul Jacker mashes up the old school Soul of artists like Stevie Wonder, Otis Reading, Bill Withers and James Brown with the modern grooves of Prince, Bruno Mars and Amy Winehouse to deliver highly contagious, supremely infectious interpretations of their music for today's tastes. 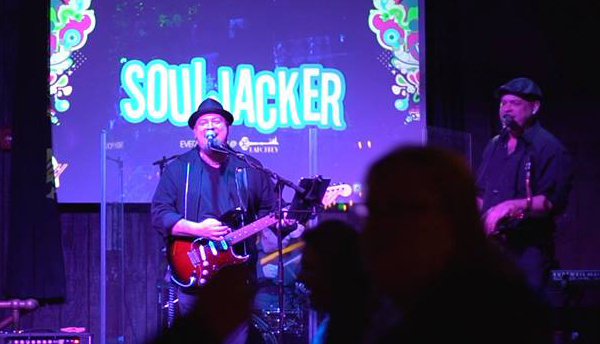 Soul Jacker consists of Munk Duane (vocals/guitar), Jim Gambino (keys), Edan Dayan (bass) and Mike Levesque (drums), a group of music industry veterans, uniquely qualified to bring the authenticity of the genre. The Local Scruff: A feel-good band that rocks soulful covers with an authentic, cohesive vibe. The Sibs: Brent Burwell plays guitar and sings, while Heeby Westwood adds drums and Brian Battles plays bass to round out The Sibs trio. Classic rock covers and Brent and Heeby originals fill their playlist. Van Pelt Faraday: Erika Van Pelt and Ryan Faraday are bringing a fresh, young, and soulful sound to the Blues scene. Vere Hill: Originally from St. Maarten, Vere brings a blend of rock and reggae to every show.